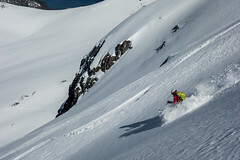 E. Hjorleifson in a perfect moment! 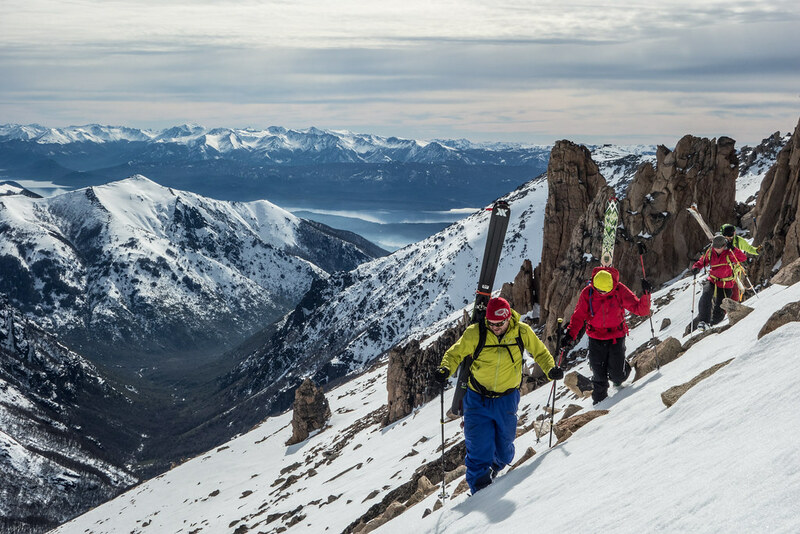 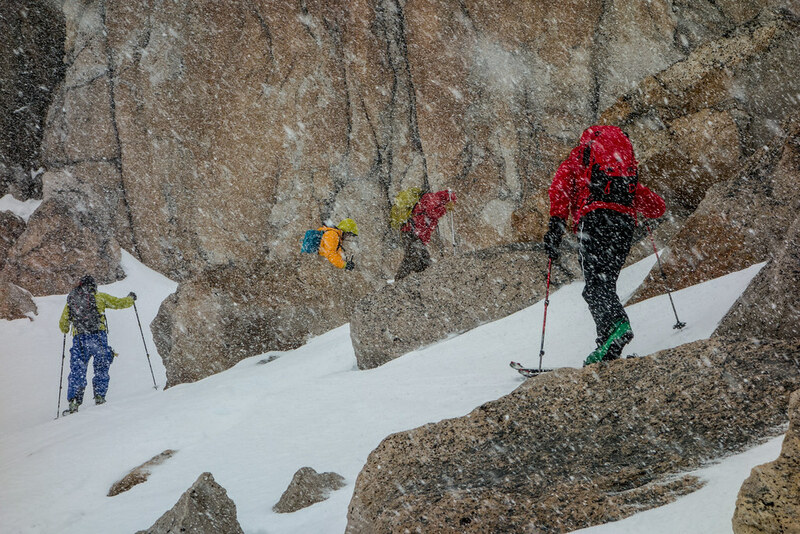 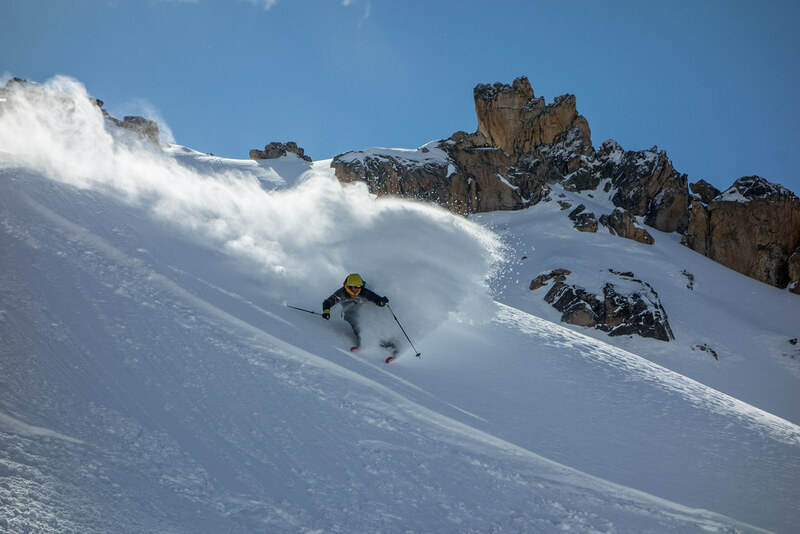 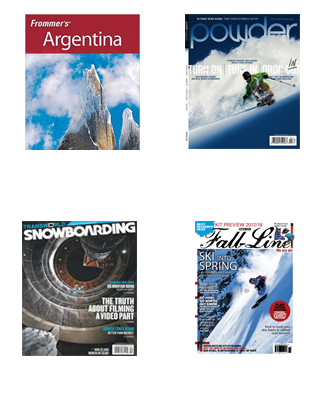 Advanced skiers with backcountry experience. 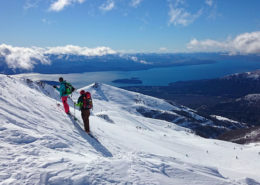 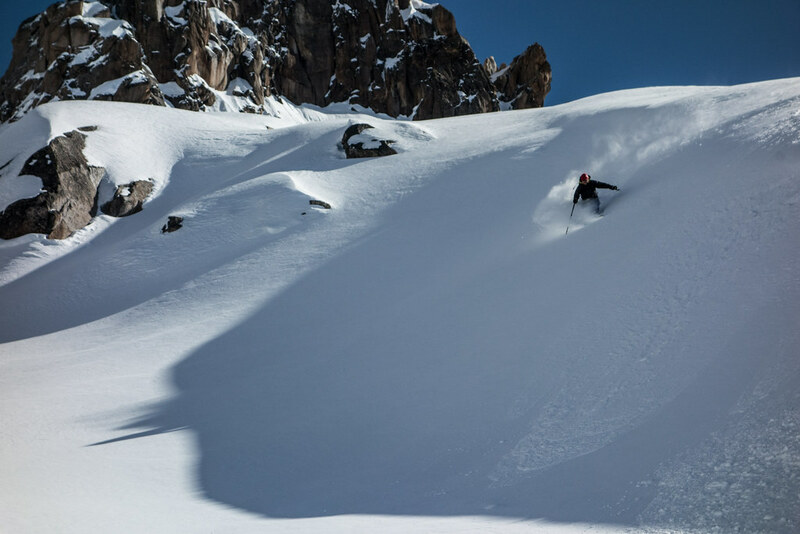 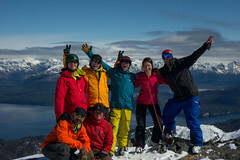 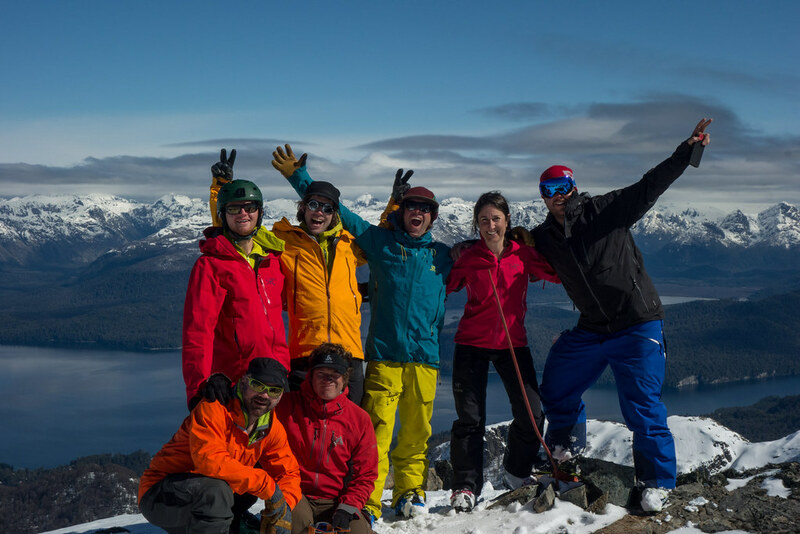 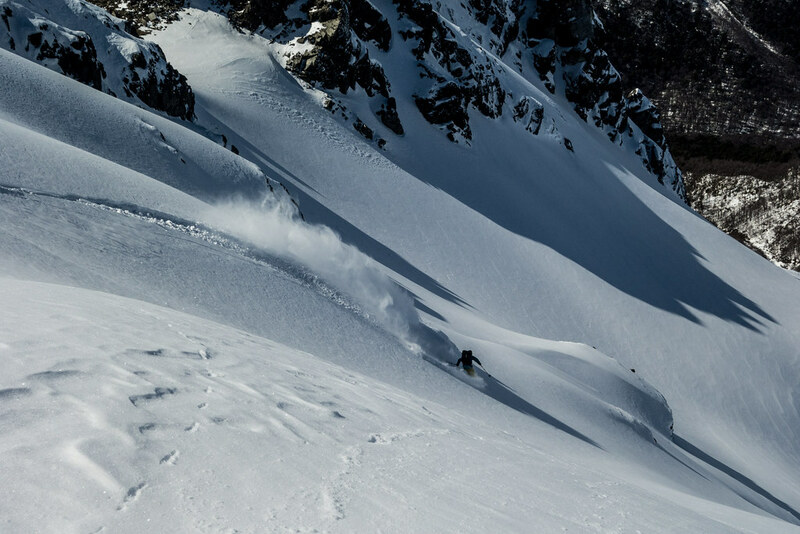 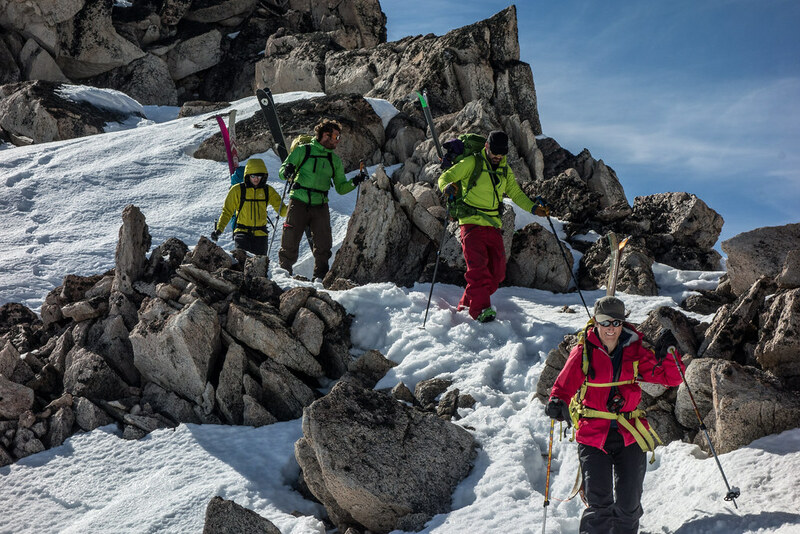 The idea of this Backcountry Ski Camp is to exploring the skiing around Bariloche, taking advantage of weather and snow conditions to get the best possible skiing. 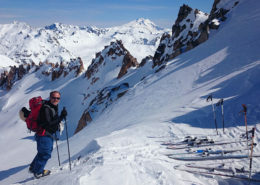 The plan is to spend a couple of days playing in the backcountry accessed by the resort and then move into one of the backcountry huts to base out of. 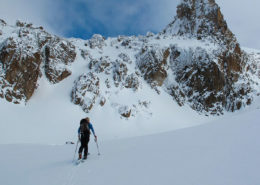 The huts are all above treeline, so with the slog out of the way we will have some incredible alpine terrain to play in. 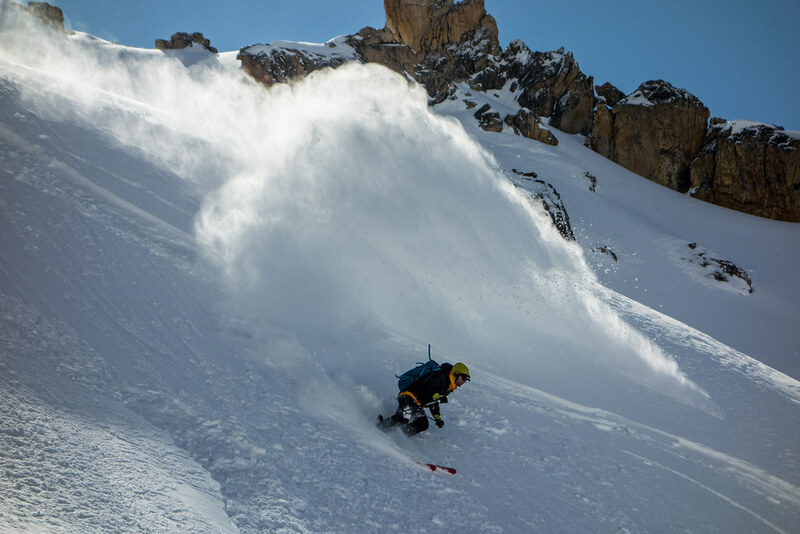 Who are Eric Hjorleifson and Chris Rubens? There aren’t many skiers who are able to push the boundaries of the sport on multiple fronts the way Hjorleifson does. 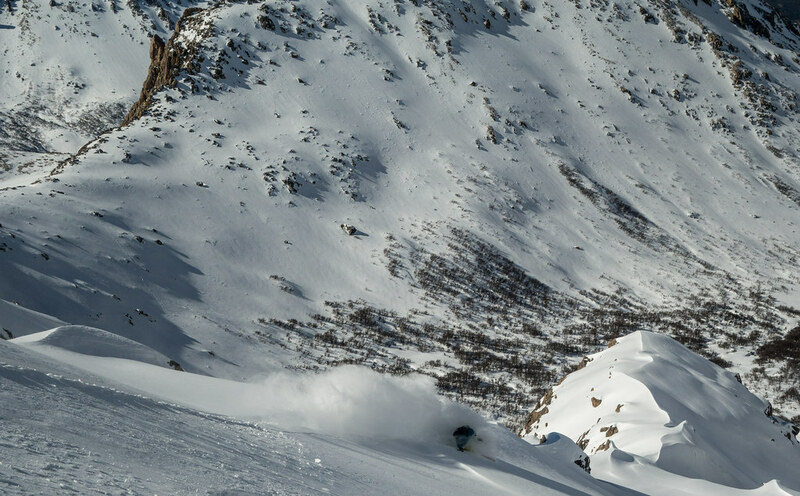 Whether it’s through riding jaw-dropping lines in films for Matchstick Productions or Sherpas Cinema, or by developing new ski and boot technology with companies like 4FRNT and Dynafit, the 30-year-old Canmore native is always finding ways to move the sport forward. 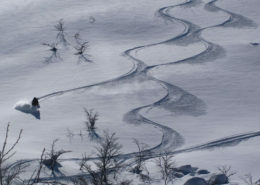 Warm up day in the Ski area, slack country, back up day in case some gear didn’t arrive. 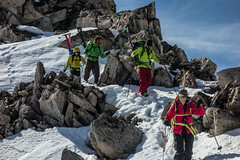 Safety, introduction and get the team in the same page. 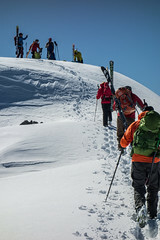 Good skinning and short bootpacks to find good snow. 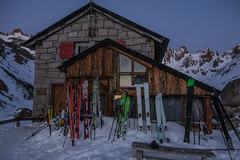 We head up to the mountains, make base in Frey hut and ski all the four/ five valleys that are in the area, looking for couloirs, steeps, summits and good snow. 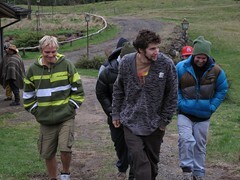 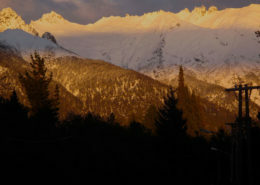 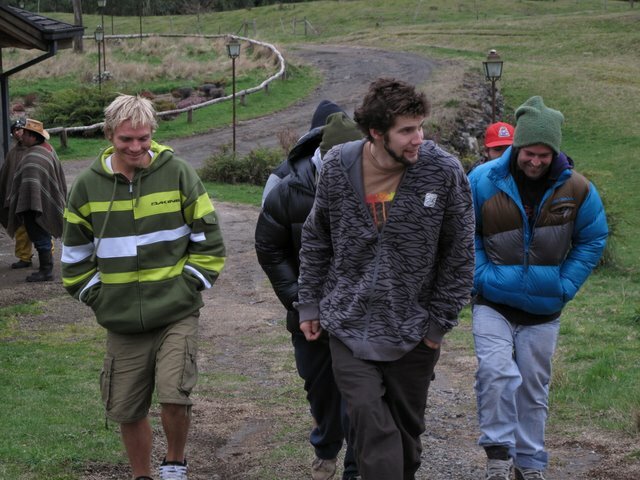 At the end of last day back to town and night in cozy Hotel in BAriloche. 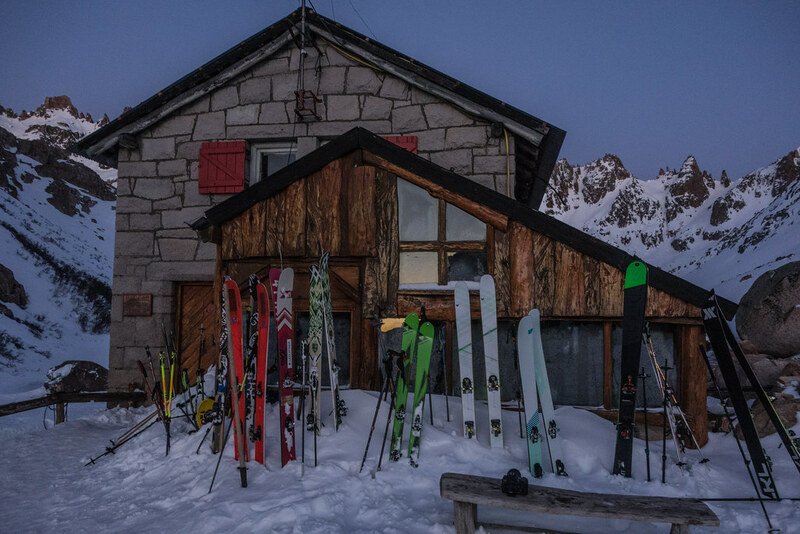 Or we go to another hut for one night/ 2 days to ski some more good lines.